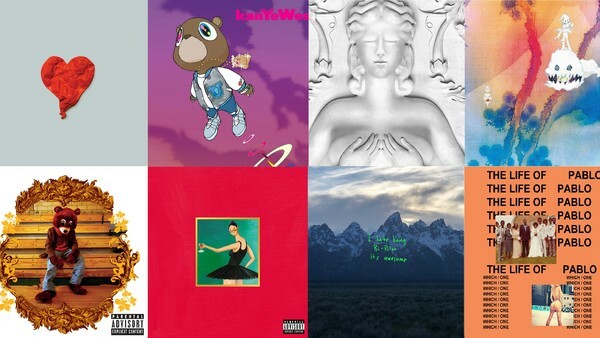 There are few musicians in history with as many hit albums as Kanye West. When his 2018 album Ye reached number one on the Billboard Top 200, he matched a record set by The Beatles and Eminem for most consecutive number one albums at 8. Being in such acclaimed company is no fluke; Kanye has not only achieved commercial success but critical too. The Chicago based musician spent years producing for greats like Jay-Z before finally releasing his debut album, The College Dropout, in 2004. Today, that record is regarded by many as one of the greatest rap albums of all time. From there, West only went from strength to strength, releasing Late Registration and Graduation to complete a trilogy of well-received albums. He also released the genre-changing 808s & Heartbreak in the same decade. From 2010 onwards, Ye has released 4 solo albums, two collaborative albums and one compilation album for his label, GOOD Music. With such an expansive discography, there are bound to be arguments over which of his albums are the best, but while each album is fantastic, there's only one number one spot.